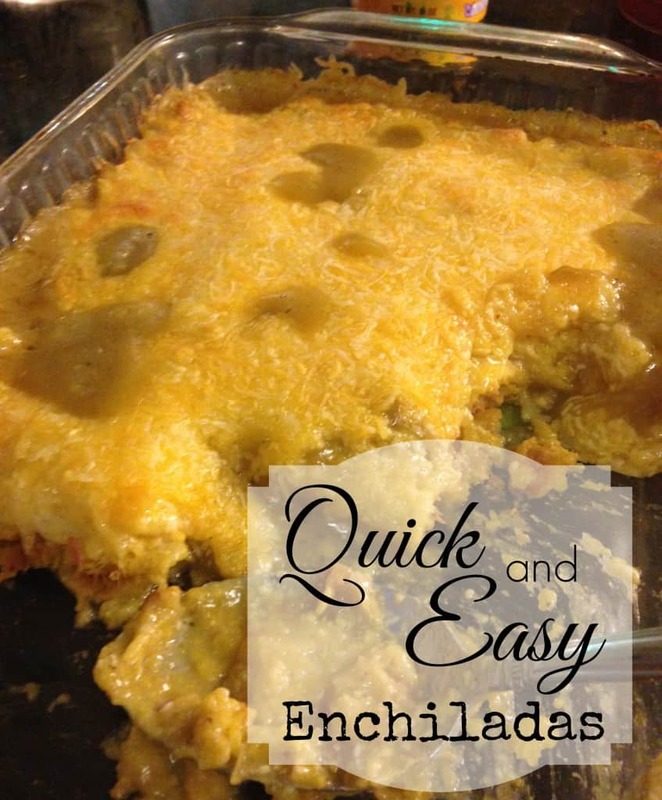 I’ve thought for a long time about posting the recipe for my quick easy enchiladas. I almost hate for people to see how simple this really is. Every single time I’ve served this people go on and on about how delicious they are. 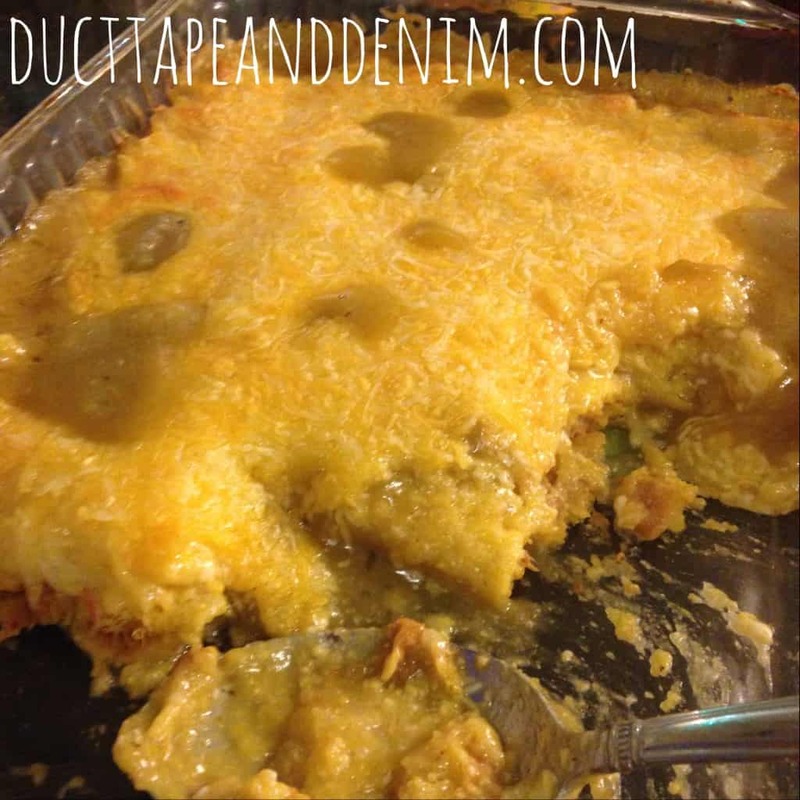 If you need to have dinner on the table 30 minutes after coming home from work or you have a potluck to go to on a busy weekend this is the recipe for you. Before I start the instructions let me tell you where this recipe came from. My mom and dad’s church goes on a mission trip every summer. Many years ago they went to a little church in New Mexico. While the men worked on a their building and the others from our church taught a Vacation Bible School, the ladies from their church would cook lunch for everyone. One day they had enchiladas. My mom told me they were some of the best they’ve ever had and she told the ladies how impressed she was that they would go through the trouble of making enchiladas for so many people. Then she asked for the recipe and the lady laughed. My mom couldn’t believe it… and most people can’t when I tell them how I make these. Next, just dump the taquitos out of the box and line them up in one layer to fill your pan. 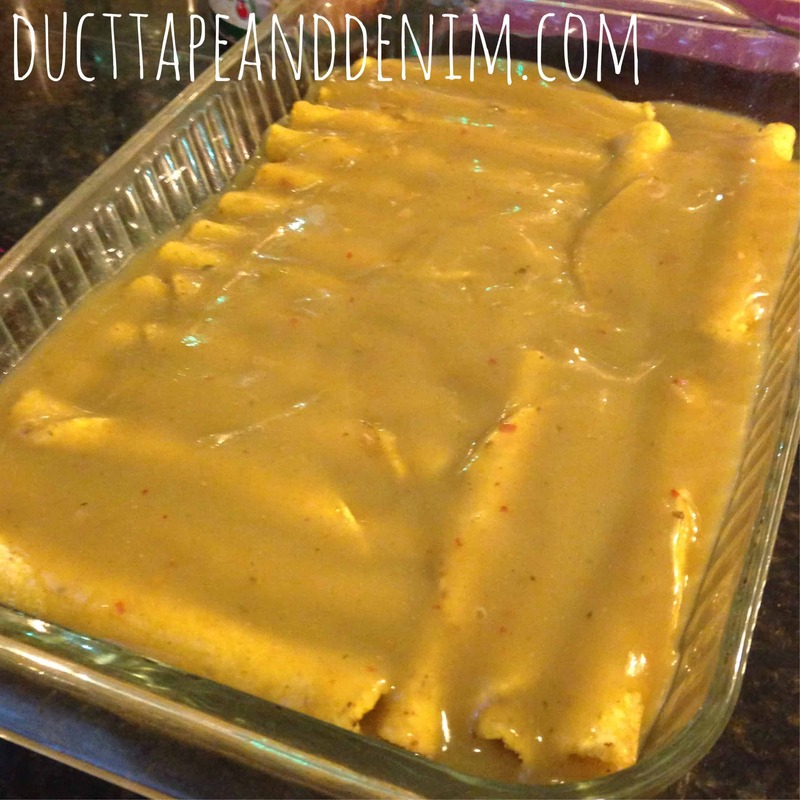 Then pour the rest of the can of enchilada sauce over the taquitos. 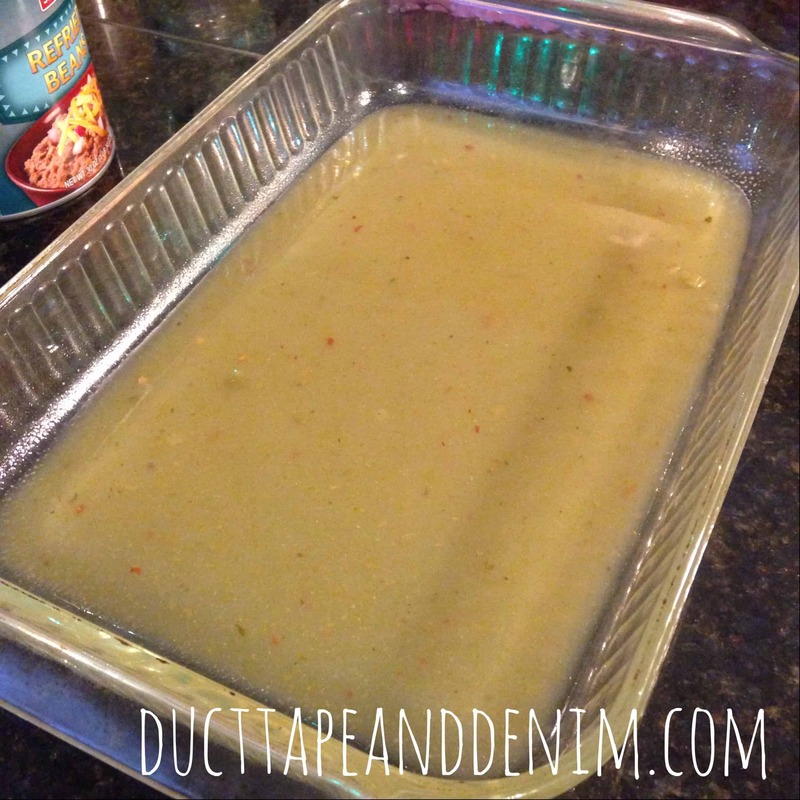 At this point cover tightly with foil and put in the over 20-30 minutes. 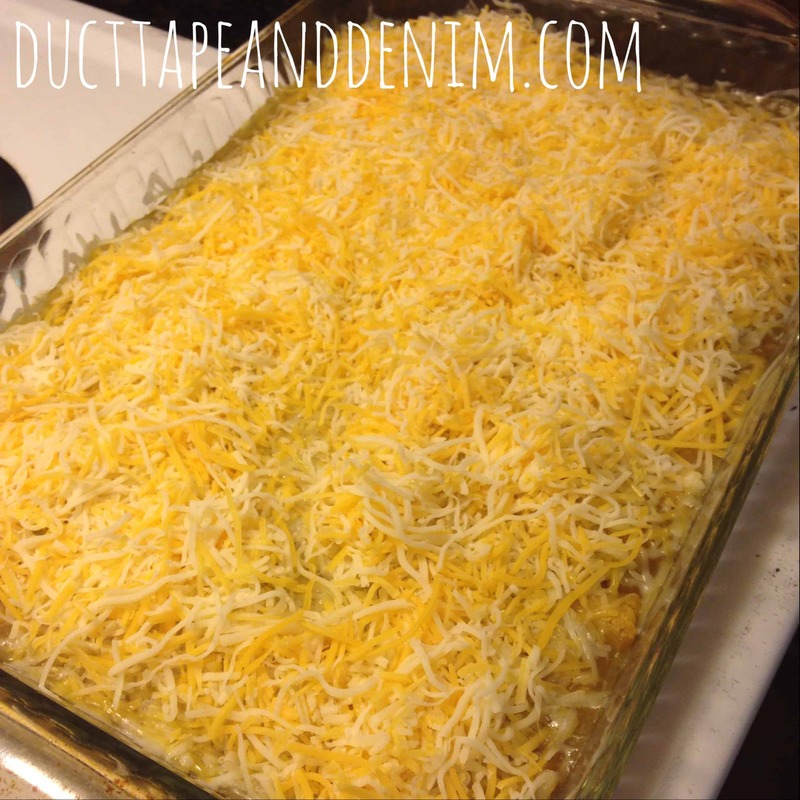 After 20-30 minutes remove the foil and cover with shredded cheese. 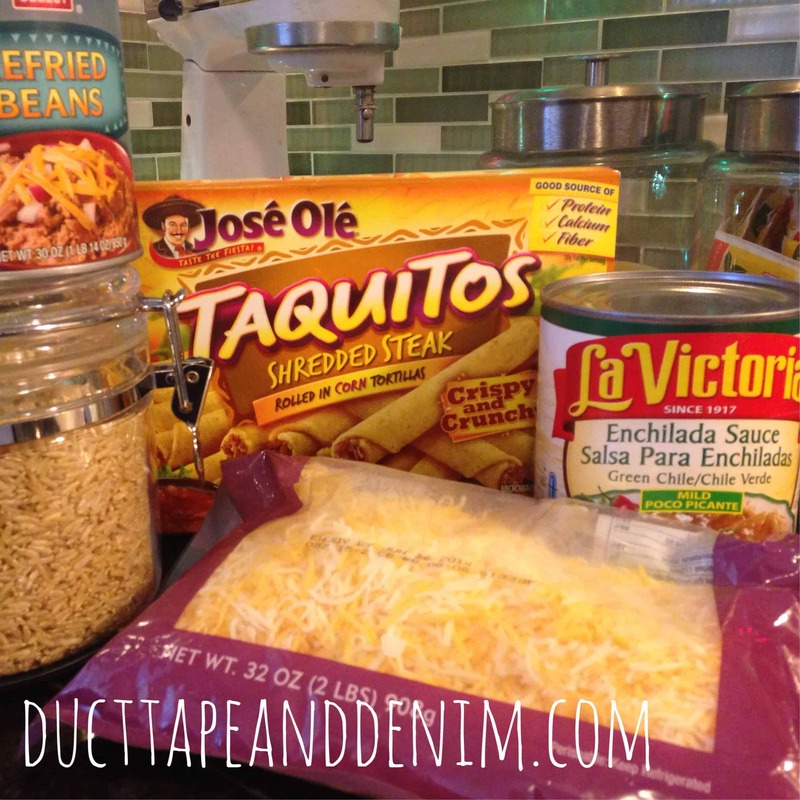 I used a Mexican cheese blend that was already shredded… even faster. Brown the top of the cheese and you’re done! As you can see from the photo below, we dug in before I could even get a photo! If you want, you can serve with sour cream, guacamole, chopped onions, and/or chopped black olives. Thanks for reading my blog. Let me know if you try these! Linking with Adorned from Above Link Party. 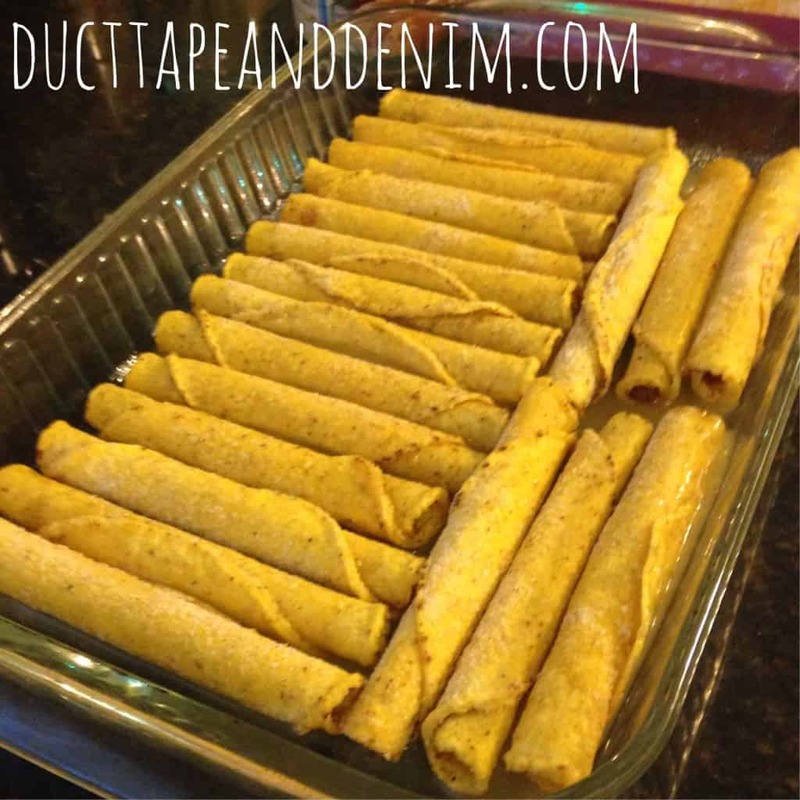 What a great idea to use taquitos. Thanks so much for sharing with Adorned From Above’s Link Party.